Admit it! Just like us, you all judge the quality of a commodity based on its price right? 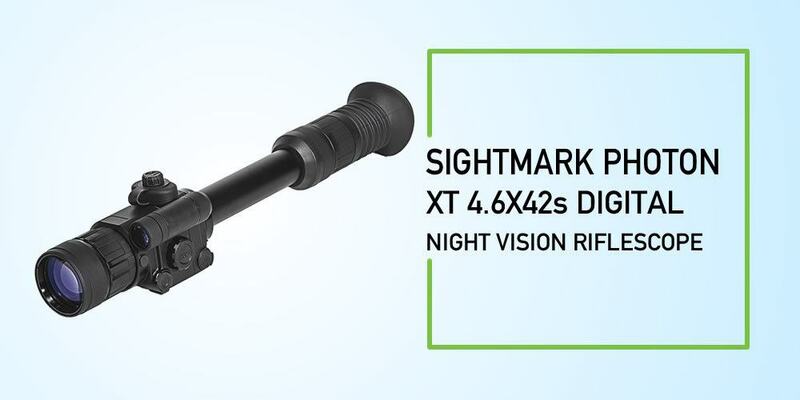 This is why with so many positive reviews yet its price is relatively cheaper; we got curious to purchase and review the Sightmark photon xt 4.6x42s digital night vision Riflescope for you. This won’t be a piece that only takes you through the features of the commodity but through the device’s merits, demerits, frequently asked questions and our final verdict. At least, you will be certain of what you are buying. Without wasting any moment why don’t we just get started already? 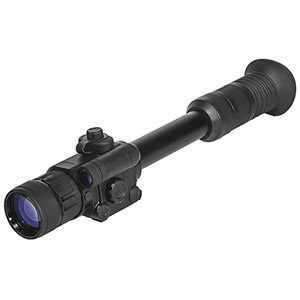 Perfect for day and night Use, 6 reticle styles,long eye relief, high resolution display, shockproof and weatherproof, Video output for video recordings. One of the things that we noticed once we got our hands on this tool is its various reticle options. Particularly, the device comprises one German reticle, one mil-dot reticle, two duplex reticles and two crossbow reticles which have their distinct roles. For instance, the German reticle due to its thickness allows you to shoot perfectly even in the low light setting. Additionally, the device offers the reticles with three color options; hence they can choose whether they need their shooting in white, red or the green color. With a choice of reticles to choose from, your experience should get better by the day. You no longer have to struggle with seeing your aimed target. Do you know why? This is because the tool provides you with a fantastic resolution of 640 x 480. You are right! With such a resolution, you no longer have to strain as this automatically means increased contrast which gives you a vivid image of your target. We don’t need to tell you that this feature will increase the likelihood of you hitting that target even if you are green in hunting. I know of riflescopes that will break your bank but do not offer anything closer to the resolution you are getting here. Shooting nothing is more devastating than aiming at your target but failing on every shot attempt. Perhaps, this is why the Sightmark photon digital night vision riflescope is fitted with a digital windage and elevation adjustment system. While the latter allows you to move your point of view up or down, the former allows you to move your point of view to the left or right. The combination of these two qualities allowed us on various occasions to be very accurate with our positioning. We, therefore, trust that the experience is the same for every user because the accuracy transpired due to the digital windage and elevation adjustment system feature. In case you are a loyal user of the Riflescope, you understand well the eye dangers that come with these tools. Your eyes are very sensitive to intense light and the more and closer you expose them to light, the higher the chances of experiencing eyesight problems. Unlike most of the Riflescopes, this device offers enough room for the recoils. Notably, the distance between one’s eye and the lens of the scope is 60mm. With this, there are slim chances of your eye getting damaged in the course of your activity. This is an assurance you need since you are not about to retire from hunting. Sightmark is always on the forefront making sure your safety is never under any threat, and that is not exceptional to this night vision riflescope. Now that we have touched on the eye, let’s also state that when animals are privileged to view things well at night, a good number of humans suffer from night vision problems. Thanks to the Sightmark photon xt 4.6x42s digital night vision Riflescope, this problem is entirely sorted. This is because the device is fitted with an 810nm LED IR illuminator which allows you to have clear images even at night. If this does not make you feel excited about this tool, we don’t know what else will make you feel excited. Other than shooting images, the device has a video output feature which allows you to record every moment and later share it with your family and friends. You can capture all the outdoor action and either transfer it to your PC and let the entire family view what you have been up to. The video output is not-so-common addition to scopes in this price range. You should not wait for this offer to pass since it may never come around any other time soon. It is not every day that the weather will be bright and sunny. You have to be ready for wet and cold weather. This tool takes care of itself with IPX4 waterproof capabilities. Just in case the riflescope slips from your grip, do not worry as it is built to withstand a certain level of shock. What more would you ask for from a device that costs your pocket change? Ever heard of the phrase, “killing two birds with one stone”? It could never be put to better use than with this riflescope. You can use it for those pitch dark hunting expeditions and get the best performance. If you are the diurnal hunter, it will come handy during the day. With a mechanism to resist exposure to bright light, you have nothing to worry about. Q: Is there a cable I can use to view the recorded video in my iPhone? A: Presently, this is not possible. However, there are digital night vision scopes that can use Bluetooth. Q: I need some help to mount this photon xt on to my rifle? Any idea how I can do it easily? A: Yes, there is an easy way to do it without dropping sweat. Attach a rail to your gun then cut rings into it. It will fit in like a glove. Q: Do I need an external camera to record video with 4.6x42s riflescope? A: Absolutely no. It comes with an inbuilt video connector for recording but not playing video. Q: What kind of reticle is on the scope? A: It is the cross hair kind with a dot illuminated at the center. We think that Sightmark photon xt 4.6x42s are an excellent Riflescopes for night shoots. This is because it has features that allow you to do a variety of tricks like shooting clear images at night, recording for later viewing, and it is even weatherproof. Grab it while it’s still in stock because you’ll never find such a Riflescope at such an affordable price. However, remember that you will need to comply with the fact that it does not have a remote and that it only comes in black. FSI Sniper 6-24x50mm Scope Review – A Great Yet Affordable Rifle Scope!